Is rewilding already a misplaced and misused term? Many of the one thousand or so audience participants that have last night (16th October 2014) attended the Earthwatch event entitled ‘Rewilding the UK: Living in the Past or Preparing for the Future?’ will have made their way to the Royal Geographic Society via the heavily managed and relatively ecologically redundant Hyde Park. There would be few poorer candidate landscapes in the UK in which to reintroduce the Eurasian lynx or wolf. This irony notwithstanding, I couldn’t help but feel a sense of cart-before-horse about the whole thing. Kate Humble sat as chair, and was accompanied by Andrew Bauer (Deputy Director of Policy, NFU Scotland), Dr. Cristina-Eisenberg (Earthwatch Scientist), Jonathan Hughes (CEO Scottish Wildlife Trust), Dr. Paul Jepson (Oxford University) and Prof. William McGill (Rhine Waal University). Each presented their perspective with a short presentation before some introspection and an all too brief question and answer session with the audience. Nevertheless, Earthwatch should be commended on bringing together a good balance of views, generally in favour of rewilding but each with a distinctly different take. Rewilding has been attributed several definitions, but generally is to restore an area of land to its natural uncultivated state, used especially with relevance to the reintroduction of species of wild animal that have been driven out or extirpated. It is perhaps unfortunate that it is the latter half of the definition that receives most of the attention and appeals to a wider audience. It is also perhaps unfortunate therefore that Andrew Bauer potentially set the parameters of the debate by highlighting the most commonly considered reintroductions through pictures as some form of cumulative hierarchy and asking the audience to show their hands when they felt suitably ‘rewilded’. That there was no consideration of landscape and that the hypothetical collection of animals within it would comprise of both marine, freshwater and terrestrial wildlife didn’t seem to matter. This did however, typify the evenings proceedings, with far too much focus on reintroductions, or introductions, than on the landscapes and habitats that would be required to support them. I would pose the question, is there much point in considering a wolf reintroduction when the UK as a whole is still afraid of spiders? Let me not be mistaken. I love the concept of rewilding, I would love to walk through the UK countryside and feel less safe. It is great that talk about rewilding has entered the mainstream, with some degree of thanks to the likes of George Monbiot et al. However, there is a huge void between our heavily manicured gardens and parks and a robust case for rewilding in a manner that is not synonymous with the creation of a safari park. For example, if there was Eurasian lynx reintroduction into a far flung (relatively) Scottish estate, will it change the mindset of the average urbanite? I suspect not, though the Scottish tourist trade may see a benefit. It is only my opinion, but I feel strongly that rewilding the UK starts with us taking a good long look in the mirror. Could we recycle more? Be a little less wasteful? A little less clean? Pick the spider up and put it outside rather than show it the sole of our shoe? There are some encouraging signs, with more people on their bikes rather than in their cars, foraging is fashionable and we are recycling more than ever, but at the same time we are increasingly unhealthy and cod is still critically endangered whilst our chip shops continue to sell it with gay abandon – and we continue to buy it. Then we step outside. Jonathan Hughes displayed a very interesting graph from the World Urbanisation Prospects suggesting that the proportion of people living in rural areas is stabilising whilst more and more of us will be living in urban areas as the decades ensue. On the face of it yes, there would seem a natural slide towards an abandoned countryside which could lead to an organic rewilding. However, we must surely consider that urban areas will gradually engulf the rural, and fewer people will be required to work and manage vast tracts of agriculture. Consequently, the prospects for incidental rewilding in the absence of human intervention looks far more bleak, as much as I like the idea. As we step outside therefore, I question how the reintroduction of an apex predator into a remote area of the UK will benefit my local wildlife site when the wildlife corridors that might otherwise link it are horribly convoluted. An excess of human intervention has rendered all but the designated pockets of our landscape ecologically dysfunctional and species-poor. We complain when the road verges are not cut, rather than celebrate them when they are ‘overgrown’. Yet, it is in this mildly un-managed state that they support a wide variety of life, particularly insects responsible for so many of the ecosystem services we take for granted. It is in this state that the verges are the wildlife highways running parallel to our own, but because the most vocal only see them as untidy, the majority of our councils cut them back in their prime and reduce them to little more than green deserts suitable only for the most hardy and tolerant of organisms. It is ironic that some of our most diverse urban habitats are brownfield sites. There is a lesson here. At the risk of quoting Jurassic Park, nature does find a way. This is a reason to be optimistic too (in a piece that might sound quite the opposite). Given a chance wildlife does recolonize and habitats do restore – though not always in the way we expect them too; William McGill. This is what has happened in Canada. Dr. Christina Eisenberg lives in an area colloquially known as Carnivore Way (also the title of her book). It traces the ridge of the Rocky Mountains and it is the corridor through which many large carnivores have managed to recolonize the northern United States. The United Kingdom is considerably smaller than the US. This presents both an opportunity and a constraint. Our landscape is far more densely populated with people than The Carnivore Way, which makes the concept of large carnivore reintroductions either academic, or as alluded to earlier, restricted to only remote areas of our nation. I say this not only because of potential human conflict but also because the intact habitats needed to support such fauna simply aren’t there, or nearly abundant enough. 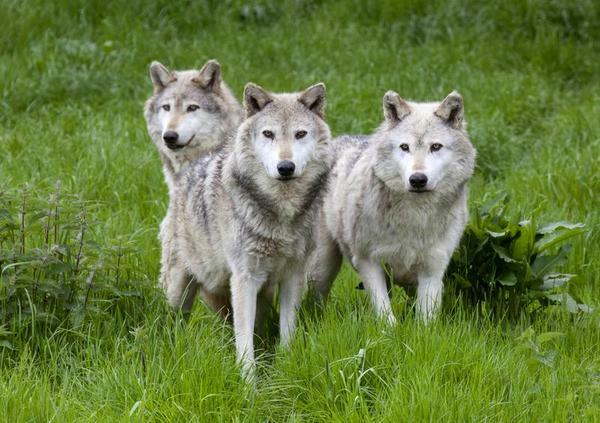 However, if we could scale back our rewilding ambitions to something more in proportion to the potential capacity of our habitat network throughout the UK, and not just Scotland, then we may realise something we can all appreciate and interact with in the medium term and then in the long term – why not wolf packs?! Now we arrive at another problem. In the short-term, as we are no longer considering the reintroduction of wolves, though we may increase our dwindling population of hedgehog and at the same time improve the resilience of our invertebrate communities, we have lost the charismatic appeal which has tempted so many into the rewilding debate. As both Jonathan Hughes and a member of the audience attested, acknowledging the economic value of functioning ecosystems may talk sense to those vested in the countries economy. Establishing a consistent and representative valuation of biodiversity through Natural Capital assessments may help keep big business interested in doing something positive for nature conservation. However, it is likely to alienate the wider public from the process through rationalising wildlife into checks and balances. I think we need to be looking for further ahead. If we want to make a sustainable difference surely we need to educate the next generation(s) to the benefits of biodiversity not just for its intrinsic value, but as the cornerstone to a vibrant future. It is so much more important than we give it credit for. Sustainable growth is a fallacy if we cannot protect and enhance what we have got, let alone spending vast sums of money on reintroducing long lost wildlife. Could ecosystem services and natural capital become a feature in school curriculum as opposed to learning about plate tectonics or V-shaped valleys? Could there be an economics module entitled natural capital? If this is already the case, do forgive me. The point is that the average conservationist looks at scrub and sees life, yet the average person, I fear, just sees scrub that’s got out of hand. There are fewer skilled taxonomists than ever, and when the average person can name all but the most common plants (and those are probably ornamental) it is clear that education has a pivotal part to play in all of this. Education aside (I don’t claim to be a skilled taxonomist), much could be done with just a subtle change in attitude. So, keep wolf reintroduction as the ambition for it is not unrealistic, but extend the concept of rewilding to include our backyards and ourselves. Bridge the gap between amenity grassland and wild places to realise the ambition. If we could all learn to be a little more hands off and a little less controlling, put ourselves as a part of the environment rather than getting irritated when it fails to obey our arbitrary boundaries we may just get somewhere. Similarly, to those who would consider species introductions in advance of climate change – slow down, this is already happening naturally. Finally, should there ever be a large carnivore reintroduction in the UK without them being ringfenced, perhaps we should remind ourselves that it is because of us that they are no longer present (this cuts in many directions) and there are many peoples worldwide, past and present that have managed to find a truce with nature. I am sure we can too.